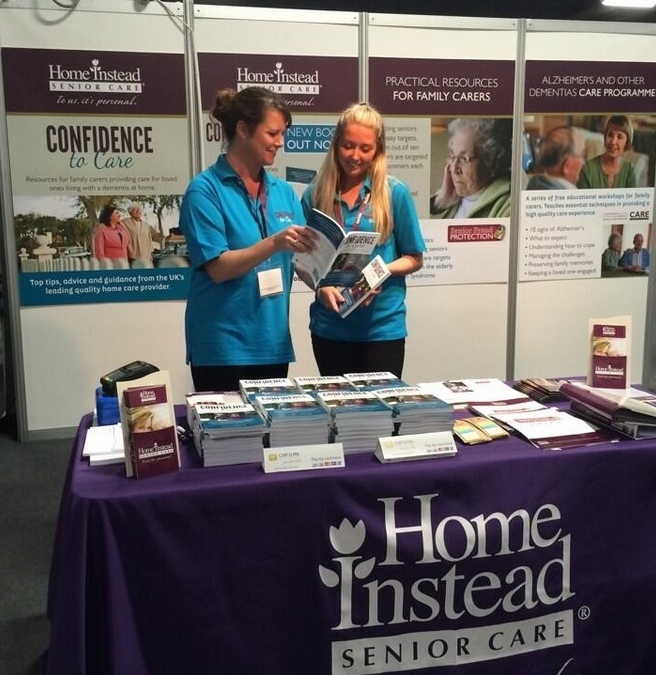 The week after attending the second of this year’s Alzheimer’s Shows in Manchester, at-home care company, Home Instead Senior Care, has praised the event for helping to raise awareness of the condition and the help and support that is available. The Alzheimer’s Shows in London and Manchester were held in association with the Alzheimer’s Society. They offered a conference and exhibition for families and professionals caring for a person with dementia, where they could find inspiring talks by first class speakers, workshops and information on the very best and latest products and services. Home Instead were on hand at the Shows to highlight theirquality dementia support plus launched their dementia care book, Confidence to Care. The Baroness Greengross OBE, Chair of the All-Party Group on Dementia, delivered the keynote speech at the London event. Labour MP for Salford and Eccles, Hazel Blears, opened the Manchester show with a moving speech in which she spoke of her mother’s diagnosis with the disease. Also speaking at the event, Caroline Woodall of Home Instead delivered a talk on Confidence to Care. She spoke about her own struggles caring for her mother who was diagnosed with dementia in her early 60s and how, had she had the benefit of a handbook such as Confidence to Care, she would have found it easier to cope. Speaking about the Shows, Trevor Brocklebank said, “The Alzheimer’s Shows are a great innovation. They provide an informal setting in which to bring together people living with a dementia, their families and carers along with health and care professionals and well known faces and politicians who are doing a great job raising awareness of the condition.